Visitors to San Antonio might be surprised to learn that it’s the seventh largest city in the USA, larger than San Francisco, Las Vegas, Miami and Boston. This fast-growing city has a population of around 1.5 million. In Texas, only Houston beats it. But the best thing about San Antonio is that with such a compact and walkable downtown, it doesn’t feel big – and that’s why I like it. I’m not alone. An estimated 32 million visitors flock to San Antonio every year. The single storey adobe building that forms the Spanish Governor’s Palace was the original comandancia, the place where the military garrison’s officers lived and worked. Its whitewashed walls and simple furnishings allow the building to speak for itself; the tranquil courtyard garden is a serene oasis from the modern city which surrounds it. Erected in memory of the heroes who sacrificed their lives at the Alamo, March 6, 1836, in the defense of Texas. They chose never to surrender nor retreat; these brave hearts, with flag still proudly waving, perished in the flames of immortality that their high sacrifice might lead to the founding of this Texas. “Remember the Alamo!” became the rallying cry of the Texian Army. Later that year, Santa Anna was defeated and Texas won its independence. It remained that way until 1845 when it was annexed by the USA with popular approval from the Texians. Texas was formally incorporated as a state of the USA on February 19, 1846. A stroll along the city’s River Walk is the most scenic way to reach the cathedral. This urban waterway, lined with trees and restaurants, is the social heart of San Antonio. Catastrophic flooding occurred on the San Antonio River in 1921, leading to calls to manage the river as it wound its way through the heart of the city. Casa Rio was the first restaurant to open in 1946, but I’d recommend you pay a visit to Cafe Ole where you should ask if their server Richard is rostered on – he’s excellent. The cathedral is well worth a visit. Also known as the church of Nuestra Señora de la Candelaria y Guadalupe, it was originally built from 1738 to 1750 and some of those original walls still stand. The current structure largely dates from the 19th century. Each evening, a sound and light show tells the history of the city, the captivating graphics projected onto the cathedral’s façade and twin towers. Though it can feel like it at times, the city’s not just the sum of its Mexican heritage. There’s actually a historic German district known as King William, located within an easy walk of downtown. In the 1790s, Mission San Antonio de Valero, one of the city’s five missions, sold off land to settlers. It wasn’t until the 1860s, however, that the district was sectioned off into plots and took on its present day layout. At that time, it attracted a sizeable population of German immigrants. The main street was named King Wilhelm 1, after the King of Prussia, though it garnered the derogatory nickname Sauerkraut Bend for a while too. Its wealthy residents competed to construct the most impressive mansions and a stroll along the street today is as much an exercise in real estate envy as it is regular sightseeing. A visit to the Edward Steves Homestead Museum affords the opportunity to see how such families might have lived. Paris Hatters celebrates a century of trading this year. It’s not much to look at, but the tiny store is packed with boxes stacked almost to the ceiling ensuring that whatever your style choice or your size, there’s something to fit. Its clientele boast a number of the rich and famous, among them former Presidents Lyndon B. Johnson, George Bush, Dwight Eisenhower and Harry Truman, Pope John Paul II, Matt Damon, Tommy Lee Jones, Bob Hope, Sammy Davis Jnr., Dean Martin, Luciano Pavarotti, B.B. King and Bob Dylan. You never know, as you look in the mirror, someone you recognise might be right behind you! If you could choose a coffin designed to match your favourite hobby or interest, what would it be? A football boot? A bottle of Coke? A mobile phone? In Teshie, a suburb of the Ghanaian capital Accra, there’s no such thing as a regular coffin. If I’m honest, I’ve never really given my own funeral much thought, concentrating instead on living. But to Ghanaians, death is a big celebration, the funeral a chance to mark the contribution a person has made to their community. And a big part of that is a customised coffin. Despite the typical cost coming in at more than six times the average income, many families choose to invest in one of these designer pieces to give their loved one a worthy send off. The southern Ghanaian Ga people believe that death is not the end and that a person’s spirit will live on in the afterlife. It’s thought that deceased relatives hold much influence over the living and thus need to be kept happy. Depending on a person’s status, they might qualify for a particular type of coffin. Swords have high status and therefore cannot be used for just anyone; lions, cockerels and crabs represent clans and so only the heads of certain families are permitted to be carried in them. Pulling up along the main street in Teshie, at first glance it seemed a pretty unassuming place. My driver led me to the back of one of the breeze block shops that lined the street and up a rickety wooden staircase across the back yard. There, open to the elements, was a tiny showroom and workshop packed with finished and half-finished creations. An aeroplane, silk lined and carefully painted, looked ready to leave, missing only its dead body. A small photograph of an unsmiling policeman was tacked to the wall next to a crudely chiselled dugout. It was in its early stages, but it was clear that before long, this was going to be the ultimate vanity project. It’s also common for the deceased’s relatives to choose a coffin themed to their loved one’s former occupation. A fisherman would find himself interred inside a fish – how ironic – while a fruit seller could end up in an elongated pineapple or mango, perhaps. A barman (or drunk) could be a bottle of beer, a farmer a cow. There was no shortage of imagination, or skill. Many of the craftsmen working on these fantasy coffins have been in the family business since starting their working life. Artisans employ apprentices who learn the craft and do the grunt work, leaving the artist to work simultaneously on the finer details of a number of coffins at once. Once carved, specialist painters or sign writers are drafted in to decorate the coffin appropriately. A coffin such as this is always to be a carefully crafted item, never a rush job. But although such businesses have been operating for decades since around 1950, interest from overseas is a relatively recent phenomenon. Word’s now out, though, and the coffins have featured all over the world in museums, festivals, commercials and trade shows from Milan to Toronto and a wealth of places in between. Coffins for local use are generally sculpted from the wood of the wawa tree, but for increased durability, those going to temperate climes are usually created out of something harder such as mahogany. If I’d have been at the beginning of my trip rather than the end, I might have been tempted. Never mind the freight charges, just think of the reaction when you got it home. Orders take at least a fortnight to take shape if not longer, however, so for now a personalised coffin will have to wait. In any case, I have no idea what I’d choose. Would you? What makes a good souvenir? Looking back to when I first seriously started travelling over twenty years ago, I was an avid souvenir collector. All manner of things came back with me until my house was overflowing with what then were irresistible purchases: painted bowls, mass-produced watercolours, huge piles of tat in all shapes and sizes. Over the years I like to think I’ve become a little more discerning and certainly more considered. I don’t bring as much back, but everything has a story and triggers a memory, just as souvenirs should do. What’s the best souvenir you’ve ever brought back from your travels? 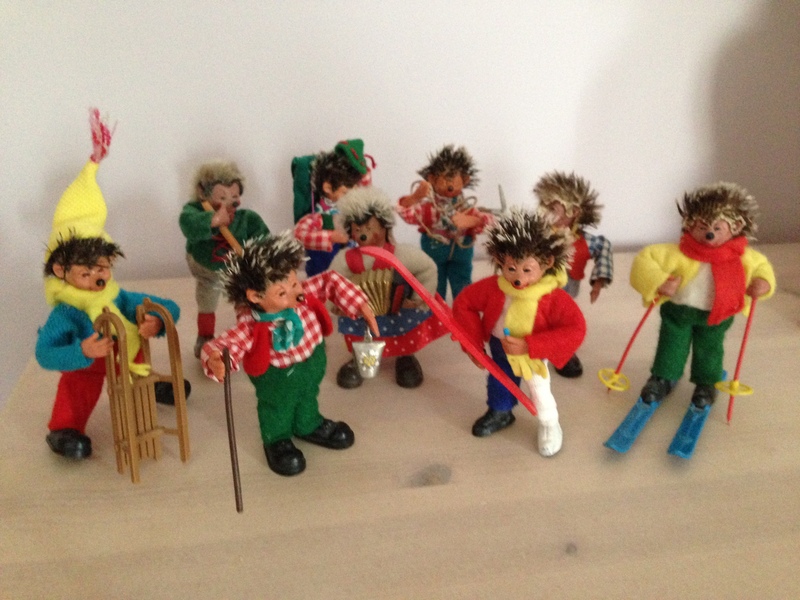 As a child I had many happy holidays in the Austrian Tyrol and over the course of those holidays collected these little hedgehogs. There is a certain irony to my choice of winter sports themed hedgehogs when all our holidays were summer ones, I suppose. At the time, I used to play with them like dolls, but as an adult I appreciate them as a kitsch reminder of the Tyrolean culture that still draws me back to the region to this day. I bought this from a store tucked down a side street in Arequipa’s colonial centre. Six weeks after the terrible earthquake, people were trying to get back on their feet. 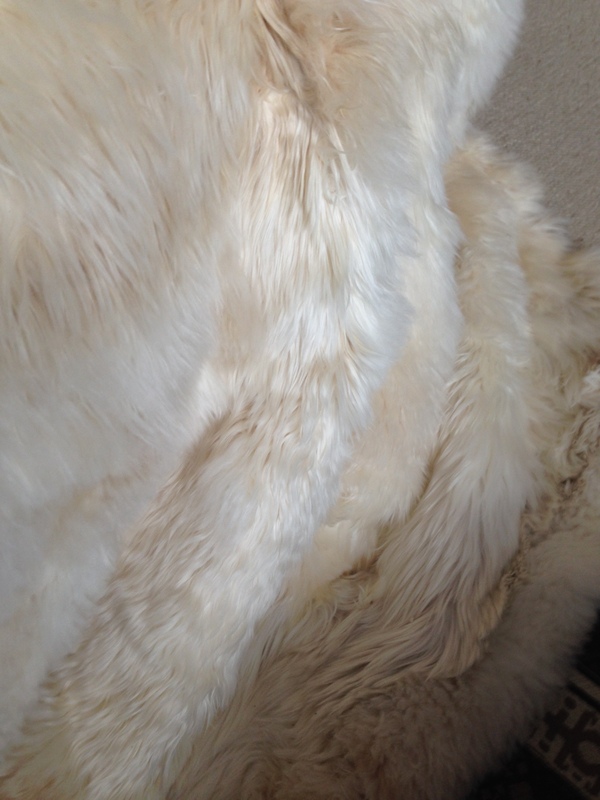 It’s beautifully soft, made from the fur of baby alpacas. I flew back with it wrapped in plastic. It was too big to be able to be taken on board as cabin baggage, but the plane had technical problems and so, for several hours, it sat on the tarmac in a rainstorm. It took a while to properly dry out and lose that distinctive damp animal smell, but I’ve loved it ever since. 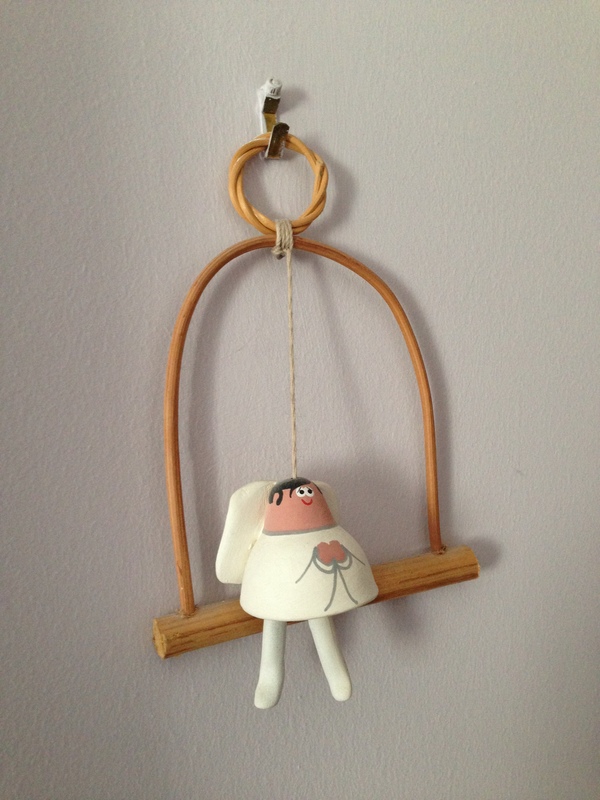 This guardian angel was bought in the then sleepy fishing village of Playa del Carmen on my first visit to Mexico. It looks as though its had way too many tacos but I love its chubby charm. These days, the angels are painted in bright colours and have “Playa del Carmen” emblazoned across them. My Mexican angel is a reminder of how places change too. I’ve been a huge fan of elephants ever since I can remember. 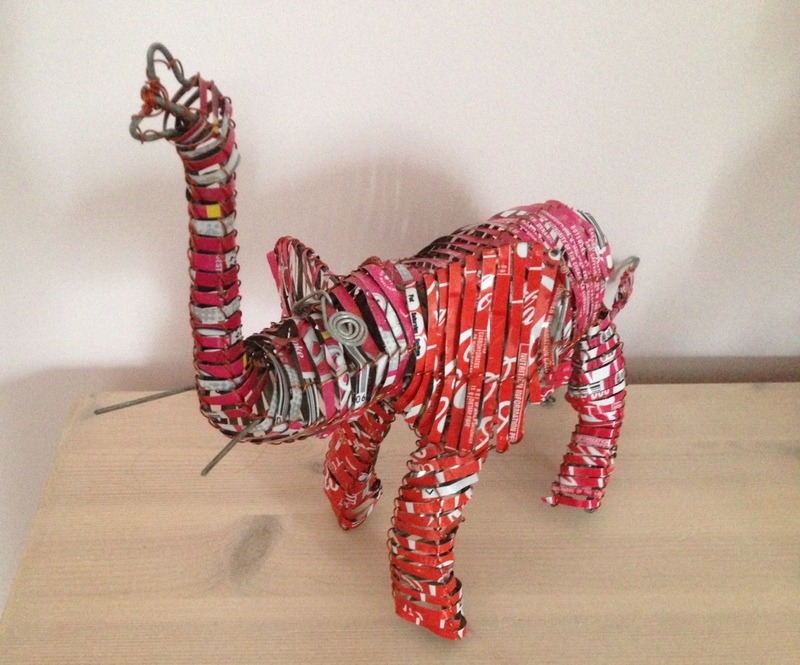 My favourite toy growing up was an elephant named Bendo, once kapok-stuffed (until it was washed and had to be refilled) and I now sponsor elephant orphans at the Sheldrick orphanage in Nairobi, Kenya. I have many elephant souvenirs, but this is my favourite. This quirky creature was picked up from a market in Livingstone on the day I rode a huge bull elephant side-saddle just out of town. 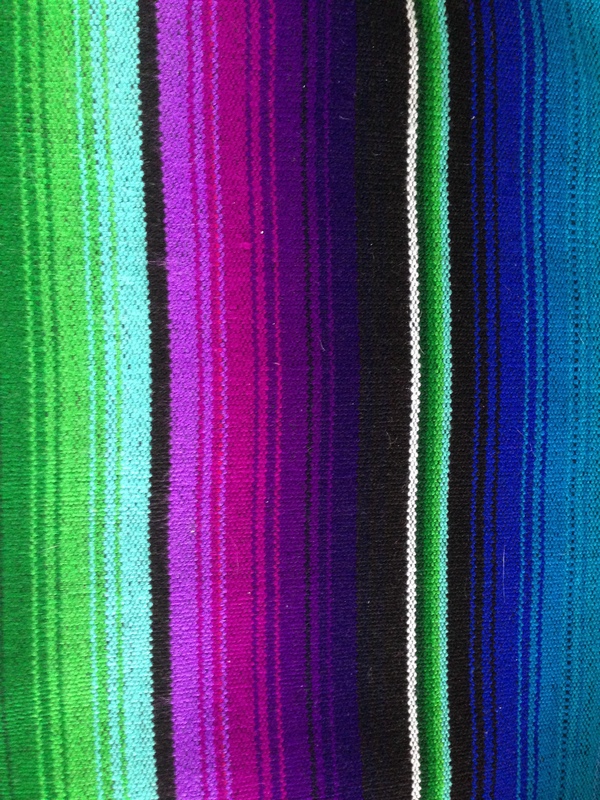 I never tire of Latin America, and part of my love affair with that region has to do with the vibrant colours that characterise the region and its personality. I was in textile heaven at Chichicastenango market and could have quite happily bought the lot. I couldn’t resist the colours of this one. It now covers a bedside chair so this is the first thing I see when I wake up. When I travel, I miss my two fluffy golden retrievers more than I used to pine for a decent cup of tea. I’m therefore a sucker for anything with a retriever theme. I’m the proud owner of a Golden-opoly game (golden retriever Monopoly) and golden retriever photo frames, and a box full of toys for them – think squeaky Empire State Building and you’ve got the idea. 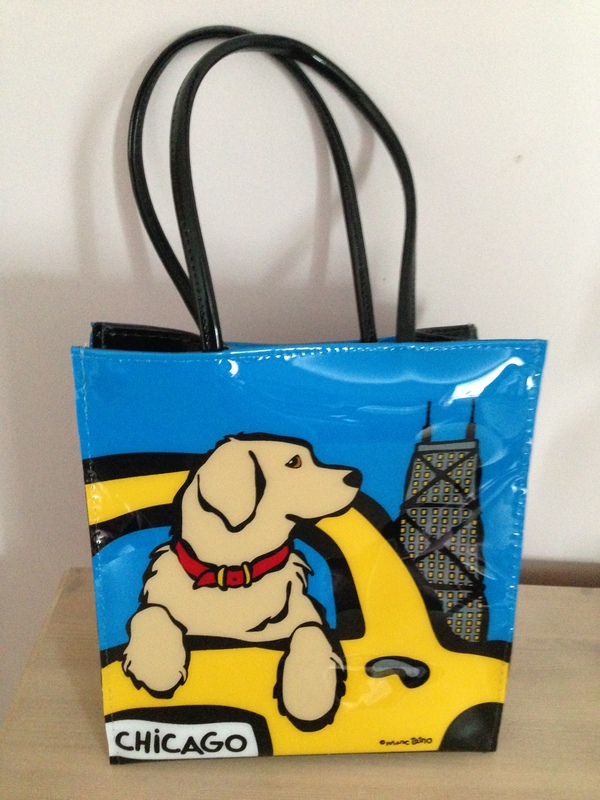 My latest purchase, from the Chicago branch of Macy’s, is a take on the iconic Bloomingdale’s Little Brown Bag, and in my opinion, a considerable improvement.